First things first: Social Media is HUGE, but it’s okay to start small. This is especially the case for small or new businesses. Here are few tips to getting started in the social media world. This might seem obvious, but some businesses forget to decide on their target demographic. With so many different ages, genders, locations, sexes, races, etc. this can be a time consuming process. Nevertheless, it’s absolutely a non-negotiable aspect of starting a social media profile especially when paid advertisements will be occurring at some point. It also helps in determining the type of content you will be posting and the time of day. If you want to target older, retired couples living in Florida, posting at 7PM PST is not going to work because they will never see it. It might seem small and insignificant, but if you’re not bringing in the business, you most likely aren’t targeting the right audience. Once you decide on the audience, you will now be able to determine which social media networks to utilize most. Teenagers tend to turn towards Instagram, Snapchat, and YouTube. Parents and grandparents primarily use Facebook; the business world seems to live on LinkedIn, while young moms and bloggers gravitate to Pinterest and Tumblr. This is another must-have. It not only has to represent your company, but it HAS to be consistent across all social media platforms. Before assigning any to your companies, make sure the same handle is available for all platforms that your company will embark on. For example, say your hotel name is Hotel Chaplin Yards, but that isn’t available for every channel. Next, you test and try “hotel.chaplinyards” and it works. That means Facebook, LinkedIn, Instagram, etc. must all have that handle (www.instagram.com/hotel.chaplinyards/). This will help create that consistency and prevent any confusion on which profile is yours or another hotel’s. Let’s stick with Hotel Chaplin Yards. Mixing up the content that is posting is pretty important. No one wants to follow and look at the same pictures of a hotel room everyday. Try and post testimonials, employee achievements, awards and events taking place at the location, etc. Testimonials can be pulled from a yelp page or sent in from surveys or emails. Don’t forget about the holidays and funny monthly celebrations. Holidays can keep an Instagram occupied for weeks at a time! There are so many ways to get a good range of content. This is also great because it keeps your current and future guests interested in what’s coming next. Yes, we mentioned it a bit above, but we can’t forget about branding. When creating profiles for a business, the profile photo should be the same and most like a logo. The background image should be consistent as well, whether it’s a company tagline or a universal photo of the business itself. For hotels, this could be a photo of the outside of the hotel or the guest room. Whatever it is on one platform, it should remain the same for all platforms. Same goes for the website. For example, if you find a company on Facebook, click on the link to the website and the website looks completely different, it’s going to be hard to create that brand awareness and most people won’t know if it’s the correct link. Be consistent everywhere. Need some help on social media? We’ve got you covered. Click here to schedule a Complimentary Brand Consultation. Public Relations can be extremely impactful in bringing in new business, only if it is used correctly. When implemented efficiently in a crisis, PR can be the one thing that saves a company from complete embarrassment. Whether it’s in-house PR or outsourced PR, it is a necessary step to guide your business in the right direction. Unfortunately, this is true. The more time you spend on accomplishing a task, the less time you have to perfect something else. Let a team of professionals really dive in and take over Public Relations. This will allow more time for your company to focus on other things that need to get done. News that comes out too soon can sometimes ruin a company’s plan regarding the product or service. This is when a good PR company steps in and makes sure that they can get ahead of the news story and put out a well put together and thought out press release. Having a PR company behind you can save your business if, for example, a bad review by an important influencer in your industry goes viral. Putting positive twists on bad situations can be exactly what is needed at that moment. This does not mean lying to customers-- it simply could be a quick apology or explanation to defuse a potentially catastrophic issue. Public Relations companies have a plethora of media connections-- that is part of their appeal. When using a PR company to elevate your brand, be prepared to create a ton of great relationships with different media sources. The perk of outsourcing to a PR company is their connections. Your brand will efficiently get out to the public in a positive light, and that in turn produces optimum marketing results your company needs. A solid and positive story has the potential to be picked up by several news outlets. This aids in exposing the message to a large audience which in turn broadens the opportunities to bring in more leads. When a company’s reach is widened, the potential to meet new clients widens as well. BOOM! There you have it. On the other hand, a terrible negative story has the same potential. This means that every situation and piece of a company has to be taken care of delicately. 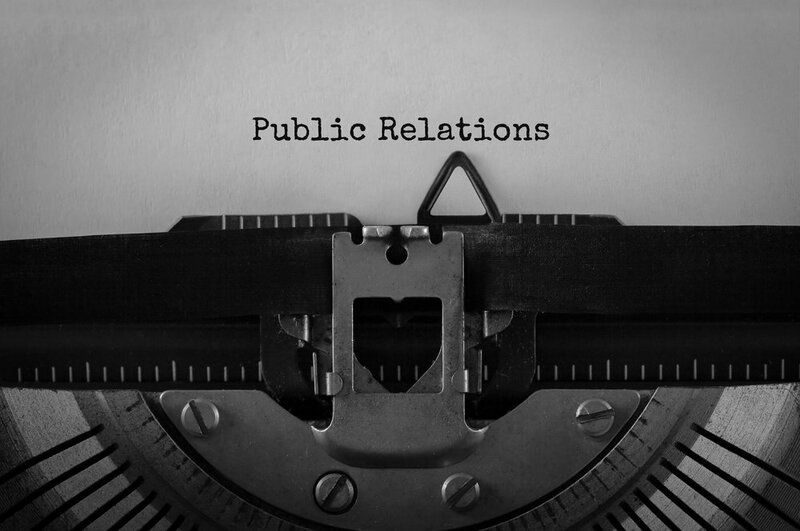 Public relations (PR) is often a misunderstood yet important piece of the marketing and advertising industry. A company can utilize PR to attract more customers, suppliers, potential employees and possible business partners. When potential clients see good news out on a specific company or business, they associate that positivity to that company. As of late, the Facebook scandal is showing why PR is and should be a major part in a company’s marketing plan. If Facebook would have gotten ahead of the story with their PR, maybe Mr. Zuckerberg might not be going through 10+ hours of questioning! But that is another issue in itself. Want to use Public Relations to get that much needed edge for your business? Click here to schedule a Complimentary Brand Consultation. Does PR Grow My Design-Minded Business? If you’re asking this question, you’re either just starting out in business or maybe have had a bad experience with public relations. Fortunately, life is all about learning, improving and progressing. A great business plan in general needs a public relations aspect. Whether it’s creating relationships with journalists and media companies, or simply getting a handle on situations before they go public, PR is always necessary. In design, like any other business, things happen. They can be good or bad, great or horrible, and having a game plan to approach each situation is crucial. Businesses either grow or crash based on how they handle situations, so using PR can help you get ahead of the game. Protect the company by figuring out what precautions to take for those “just in case” circumstances and the company will continue to grow! This seems to be the newest and hottest way to promote and stay relevant. Influencers on social media are incredible resources to have and public relations can get you them. The more you stay updated and informed about the design industry, the more people you connect with who have influence in the community. You definitely want to do all you can to make influencers aware of your company and can do this by liking and commenting on their posts, blogs, etc. PR does a lot more than just damage control as some people might think. There comes a time where things might seem a bit repetitive and mundane. Public relations can help maintain a relatable and “humanized” feel for your clients and potential business partners/customers. Just as relationships start off as a journey, so do businesses. Showing a depiction of how the company started, where it came from and where it’s going can help clients and customers resonate and want to know more. Everyone loves a good story! In any industry, good research is key. This can be staying in touch with the latest trends, tracking analytics, and more. This also helps when conversations start about hot topics in the design industry. Can you imagine being in a conversation with a potential client and they bring up an issue you haven’t heard of or know nothing about? Save yourself the embarrassment and stay on top of the industry news. We promise, it might take a little time, but knowledge is growth. Speaking of analytics, this is crucial to truly engage how much your business has grown. It’s also incredibly insightful when it comes to what has NOT been doing well. Sometimes figuring out what is not working and adjusting your efforts in that area can skyrocket a company. Imagine that you’re spending way too much time/resources on a social media platform that has not gained any traction. The solution can be to allocate those efforts into another area that is already doing well, increasing the ROI even more. PR is a huge part in growing a design-minded business and these are only a few reasons how it helps. Interested to learn more on how positively this could impact your business? Click here to schedule a Complimentary Brand Consultation.